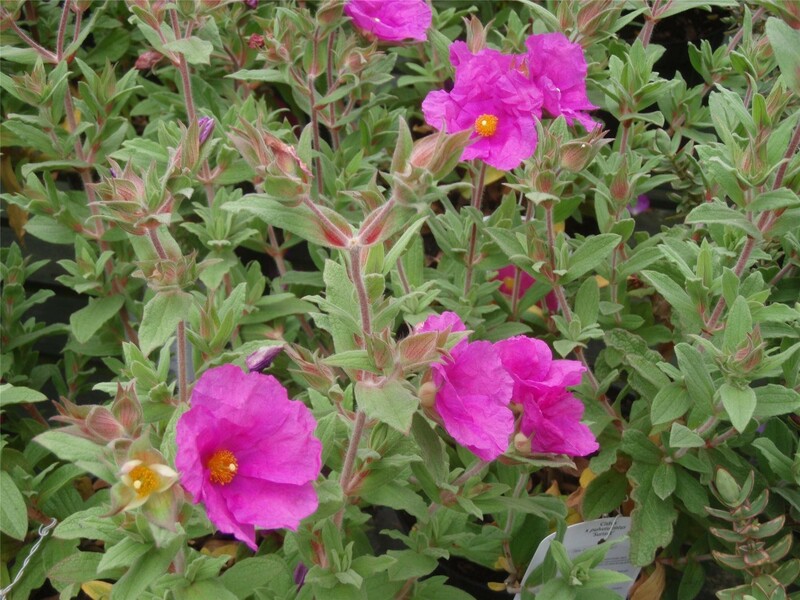 Cistus originate from dry, rocky parts of the Mediterranean and Canary Islands, and so are drought-tolerant and low maintanance. They produce masses of flowers in midsummer. 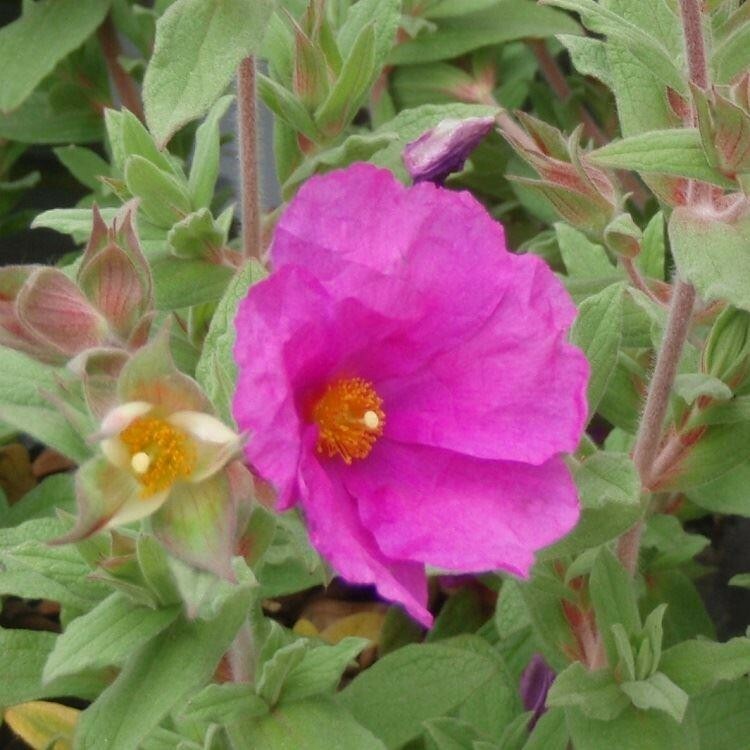 'Sunset' produces a profusion of magenta flowers with prominent yellow centres that look like crumpled tissue paper, offset by wavy-margined, sage-green leaves. It is particularly free-flowering and will tolerate chalky soil and salty air. Compact and spreading in habit, it makes an attractive, evergreen, ground cover or edging plant for a small, sheltered, sunny border. Supplied in approx 2 litre containers.